Hit the links in New York State! New York State and golf go way back. The PGA was founded in New York City on in 1916, and the first Championship was held that October in Bronxville, NY. Today, whether you shoot below par or can&apos;t break one hundred, New York State has a golf course for you. Check out the New York Golf Trail for easy planning and the latest information in every NY region--reserve your tee times, arrange for reduced-rate lodging and get special discounts at each of the trail&apos;s 25 courses. Apple Greens, named Best Public Golf Course 2015 by Hudson Valley Magazine, offers 27-holes and 20 driving range stations on beautifully landscaped property. Head to Bethpage State Park, ranked top ten for Best Golf Courses in New York by Golf Digest, and enjoy a scenic round. The Saratoga National Golf Club has all the amenities of an upscale club without the rules and restrictions. Designed by Roger Rulewich, one of the most renowned golf architects in the world, the course was rated one of America&apos;s best by Golf Digest. So, what are you waiting for? 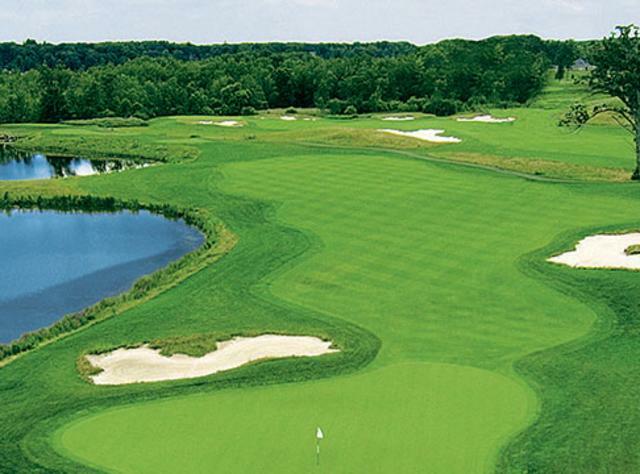 Plan your next golf outing and hit the links on New York State courses.